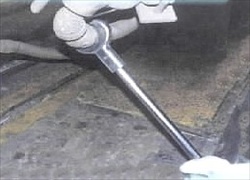 The wrench head was designed to ratchet on the intermediate hose nut. 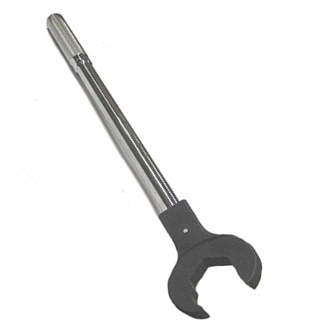 The compact design allows the wrench to be used on hoses located in confined spaces. 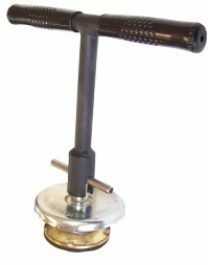 Made from heat treat tool steel with a 24″ removable handle.